The introduction of internet has positively impacted on the marketing activities of the restaurants. Many people world over can easily use the Google platform to reach and identify their preferred restaurants that offer the services they like. Restaurants that advertise their services in the internet, receive more customers than those that use systems like radio that are limited to certain geographical areas. The use of World Wide Web is another boost where restaurant open their web sites that offer detailed explanation of the services they offer as regards to quality, price and locations of the restaurant. The introduction of Google maps technology help visiting customer easily locate the direction irrespective of where one comes from. Customers therefore prefer the restaurants whose maps are clearly outlined in the Web for easy travels. The introduction of iPhone and iPod also brought a big boost in the advertisement of products and services. This is a high technology multimedia phone, which can function in several ways that include; Video camera, visual voicemails, web browsing, portable media player, use of text, email access and allows audio conferencing among others as well integration additional cellular networks. 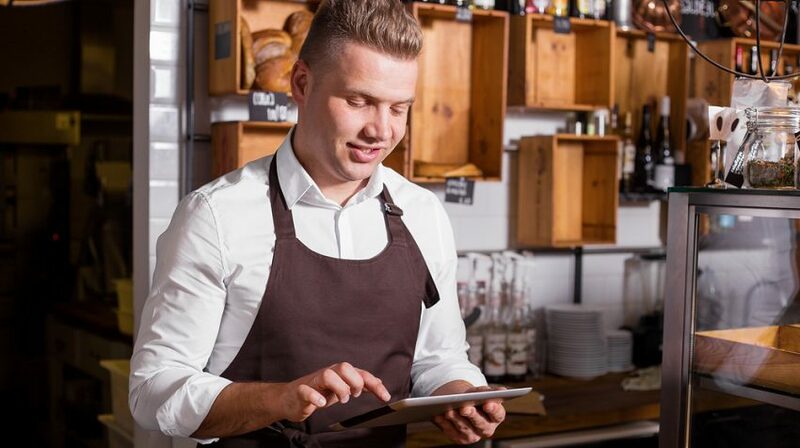 This is a technology employed by restaurants that allow customers from all over the world to make arrangements and book tables online in advance. Many high class customers prefer booking of space in terms of table to carry out their occasions. This helps the customers secure venues majorly during peak visits like during summer or tournaments in particular regions. With the help of the internet, customers may inquire about reservation policies whether in tandem with their requirements and expectations. This technology has been successfully used in New York city, Denver, Chicago, Los Angeles and Philadelphia restaurants. Technology advancement has also led to development of new faster cooking and serving techniques for example the use of electric cookers, preservations methods and customer ordering services by a touch of a baton. Technology also improves the quality of service through quicker response on customer demand from different rooms. Market positioning is also improved through the technological advertisements in the internet, iphones, Word Wide Web and satellite advertisements that reach many people globally at ago. This eventually helps improve sales and increase revenues and profits collected and at the same time reduced costs of production. It also makes the restaurants be competitive in the market, since the standards of service delivery also improve with the improvement of technology.